Here is one of the inspirational posters we will use at home this year. Even for older kids, these are character traits to reflect on … maybe even more so as they experiment with their adult voices. And to be honest, it’s a character trait that I can work on as well, too! Feel free to right click on the image and save to your computer to print out. Please share the link with your friends so that they can print out their own copy – don’t share the file. 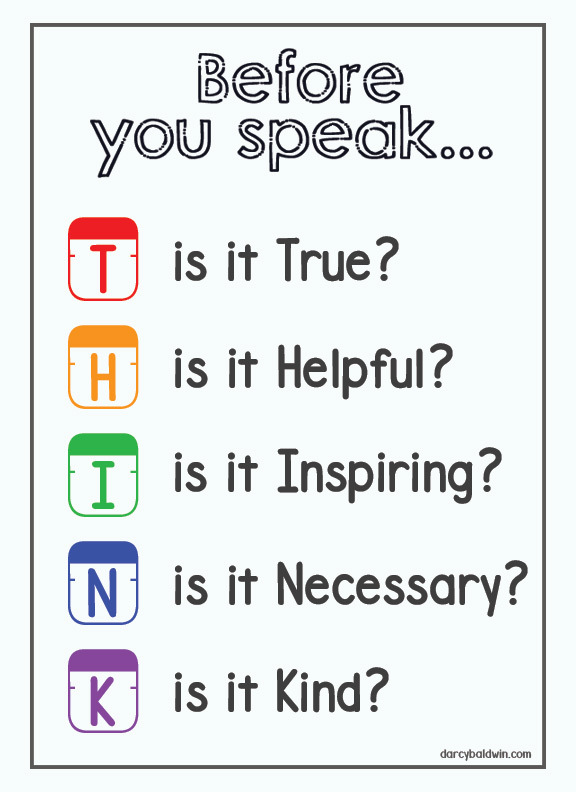 Be kind 🙂 PIN IT on your classroom resource Pinterest Board or your Homeschool Inspiration Pinterest Board. The poster uses DJB Hand Penned Font, DJB File Folder Tab Font and DJB Number 2 Pencil Bold Font.